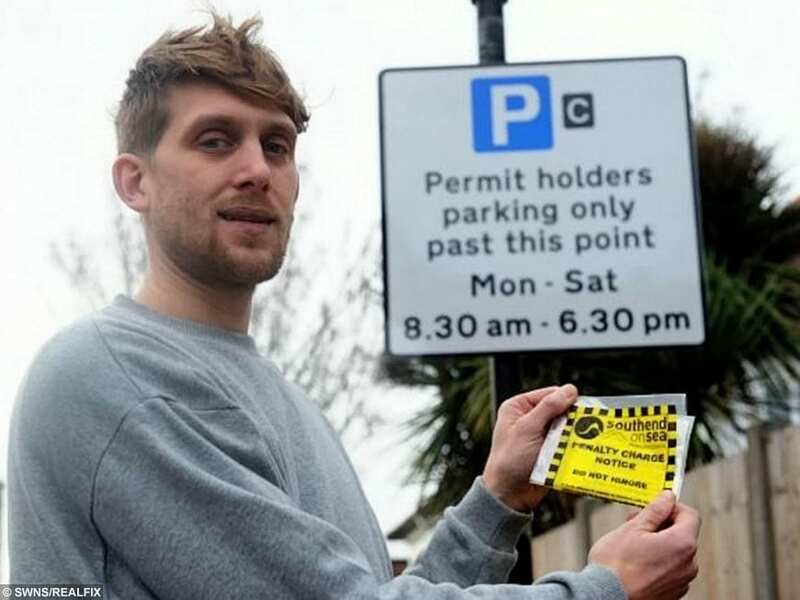 A married couple are furious after being slapped with a parking fine – after pigeon POO landed on their front screen covering their parking permit. Scott Coltart, 30, and his wife Lisa are livid after they received a £158 fine because the window “deposit” was blocking their permit date. Scott claims he saw the warden issuing them a ticket and ran out to the street in his boxers to try and stop him because they had a valid permit in the window. He said: “If you just moved your head slightly, you could clearly see the permit was in date. The couple, who have two young children, immediately appealed the ticket with the appropriate evidence – showing their permit was valid. They claimed they received a response which acknowledged the “unfortunate” situation but the fine was upheld by Southend Council, Essex. Scott added: “Again, we thought this was ludicrous and vowed to fight it all the way to court. The couple, from Southend, claim they heard nothing and assumed they had won until an enforcement notice arrived demanding they pay £158. The letter warned that bailiffs would visit their home if the amount was not paid in full. Lisa added: “I immediately got in touch with a solicitor to sort it out but there’s no way that can be done before the sum has to be paid on January 22. “The only thing I can see we can do is pay it but we shouldn’t have to. We have two young children and we’re both self employed.